I won’t go into a lot of the conversation that I just had with Mrs. DB Johnson, the mother of “Billy the Kid” (Bill) Johnson – except to say it was an honor to speak with her. 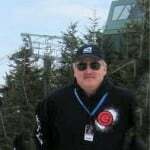 As a quick sidebar (for those who might be new to the sport of skiing), Bill Johnson is one of THE guys who paved the way to make snow skiing/racing as huge as it is today. 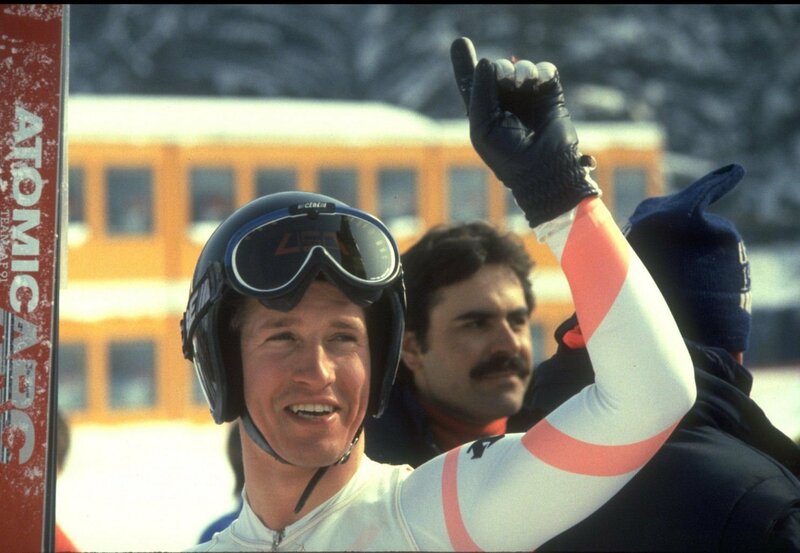 Bill Johnson was the Sarajevo Olympics Gold Medalist and one colorful guy. I wrote a story on January 24th, 2016 just after hearing the Billy the Kid had passed away at the age of 55. He had been in declining health since a near-fatal skiing accident in 2001. He had been partially paralyzed since a major stroke in 2010. He retired from competition in the late ‘80s after a series of injuries and personal setbacks. But with the impending 2002 Olympics in Salt Lake City, he staged a comeback. However, on March 22, 2001, he was critically injured in a crash at The Big Mountain near Whitefish, MT during the U.S. Alpine Championships. Near death, he remained in a coma for three weeks before regaining consciousness. While he did ski again after the accident, his racing career was over. Medical complications increased and he was confined to an assisted living facility for five and half years before passing away. From that point on Mrs. Johnson could have trashed me six ways from Saturday and I would have thanked her. However, we spoke for a while as she shared stories of just how colorful Billy was. What I failed to share with Mrs. Johnson was the fact that, about a month ago, in some kind of odd coincidence, I had watched a great, documentary video about Bill’s life. I have shared it below and I consider it a “must watch”. Bill raced in the age of Franz Klammer and at a time when, as ABC Sports ran a new share that stated, “Realize this – NO American man has ever won a gold medal on skis. None on the downhill; not on the Giant Slalom; not in the slalom; not in cross-country; not in the biathalon; and not in the ski jump. Not ever. In fact no American had ever finished as high as FIFTH. You’ll have to watch the documentary for the rest of that story…but things didn’t quite turn out the way he wanted. He rode a comet for some time, but comets eventually burn out. I’ll leave it at that. Those kind of stories always catch my eye, especially when teamed with characters of the rare breed of Johnson. When I saw the documentary was coming on television, I set it to record and watched it only a month ago. …and here was Mrs. DB Johnson calling me. She told me that she searched for over an hour for how to contact me. Again, an honor. I’ll leave you guys to read that story (if you like) from three January’s ago. But I think in honor of one of the greats – I’d like it if you’d watch the documentary. I’ve shared it below. …and here is the documentary video. E:60 “DOWNHILL: THE LIFE OF BILL JOHNSON” from Megan Anderson on Vimeo. In closing, Billy died not long after the documentary was filmed. Mrs. Johnson connected with me on so many levels and she was very gracious with her time. I heard some short stories of how colorful Bill was back in the day. Hearing those took the sting out of “the rest of the story”. More importantly, she also shared stories of his latter days. She mentioned that she retired from a business that she had started making racing bibs. She GAVE that business away to a dear friend. (She was not bragging…) She mentioned that she was “blessed” to be able to spend every day with Bill (from 11am-9pm) caring for him. She talked about how they would go to lunch once a week until he couldn’t be transported anymore…and the first thing he’d do was turn the station to “106.7” which was a station that played his favorites from the 60s and 70s. She shared that somehow he knew every word to every song and he would sing along. She shared that he was always a clown, right up to the end. She shared that every visit was filled with laughter. So thank you, Mrs. Johnson. You made my day and (again) it was such an honor to hear from you. You too are a Gold Medalist in my book.